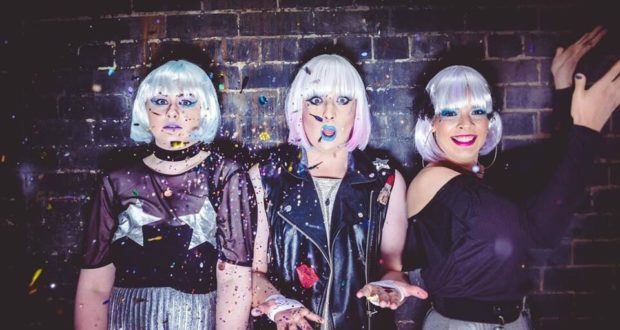 Pros: A glittery, toe-tapping fun fest which gives you an insight behind the scenes of the world of drag. Cons: We were promised a few tears, but I didn’t shed any. Would have liked to see a little bit more of the struggle in Bonnie’s story. 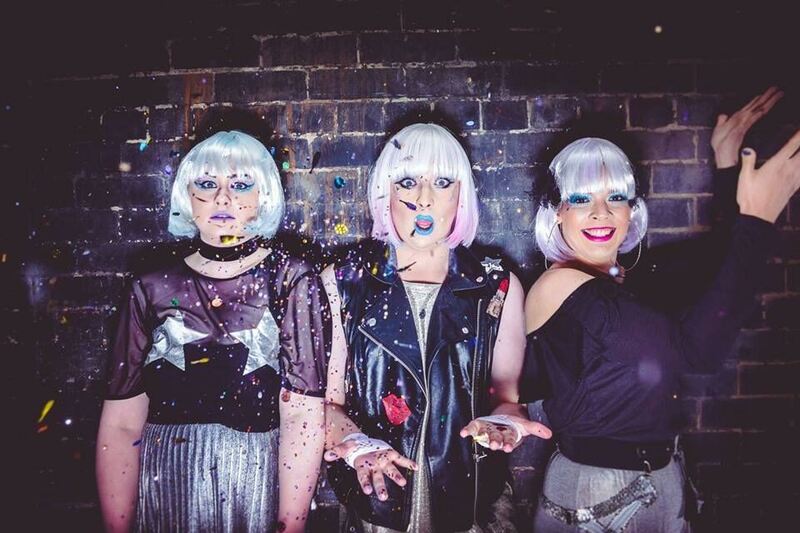 An autobiographical show combing drag performance with theatrical storytelling which follows the story of a young gay man Cameron as he comes of age in a Northern town. A riot of iconic gay anthems, neon wigs and fistfuls of glitter confetti, this 45-minute performance is the story of Cameron Sharp’s early life and that of his drag alter ego, Bonnie Love. We meet him at first age 14 when he is growing up in Doncaster, struggling with his identity, and discovers drag at a local gay bar. The story follows his trajectory as he becomes a precociously young 14-year-old drag performer and makes friends and enemies with the other drag queens along the way. Cameron Sharp plays himself, while Hattie Eason and Becky Glendenning play all of the peripheral characters in the story (as well as playing themselves). The performance is packed with song and dance routines and laugh-a-minute comic moments. Hattie Eason sings the majority of the songs with a very impressive voice, and the dance routines are well choreographed and performed. The pathos and the struggle of Cameron’s story was somewhat lacking, though; you should be more invested in his story to give the play more depth. It would also help to see some costume changes to get a sense of the development of Bonnie’s drag persona. But overall I’d recommend it to anyone looking for a fun and sparkly night out with some toe-tapping tunes.